This red black crystal decoration is handcrafted for quality with care. 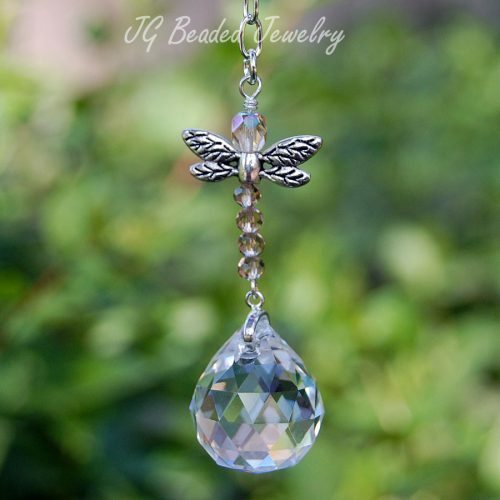 The 20mm prism crystal ball is embellished with faceted crystal beads and fancy silver beads. Offering many unique and individually handcrafted Rearview Mirror Decorations, Crystal Suncatchers, and Light/Fan Pulls! If you see something you like but prefer a different color, gemstone or prism – send a message with your request, as custom orders are welcomed!